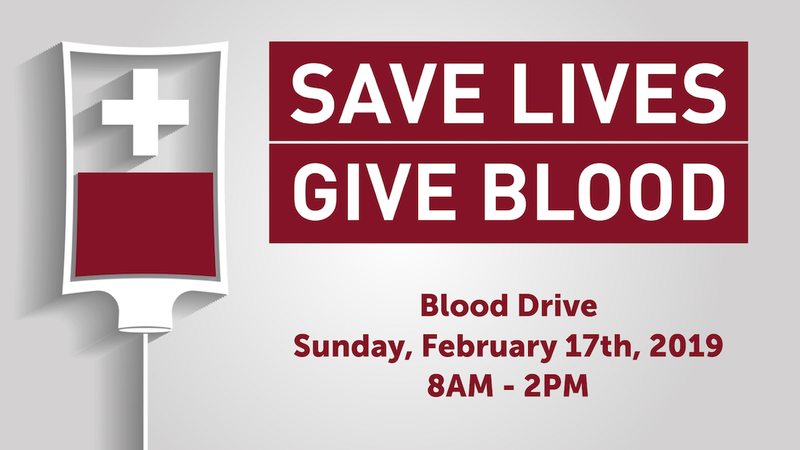 Good Shepherd of Old Bridge Blood Drive is hosting a blood drive on Sunday, February 17 from 8 am to 2 pm. This is a twice-annual event we hold each summer and winter when the blood supply is often short. And right now there is a critical emergency shortage of blood. Give the gift of life and make a difference. Whether this is your first time or you have given many times before, we would love to have you be a part of this special event. If you are unable to give blood for whatever reason, you can still participate by donating snacks for those who are able to give blood. It is a simple way to serve others and be a blessing.